We all know the importance of good kitchen metal range hoods, especially when we have cooked something of a really strong smell. Or even burnt some food. Apart of the vented system which is a more mechanic element, nowadays the customer can choose among thousands of designs of incredibly elegant metal range hoods and dining tables for a kitchen. The options can make your head spin around. Our company offers both standard and fully customized models in different materials such as wrought iron, zinc, and copper. There are things to consider while picking your perfect metal range hoods. One and most important obviously a customer’s taste and that is incomparable. 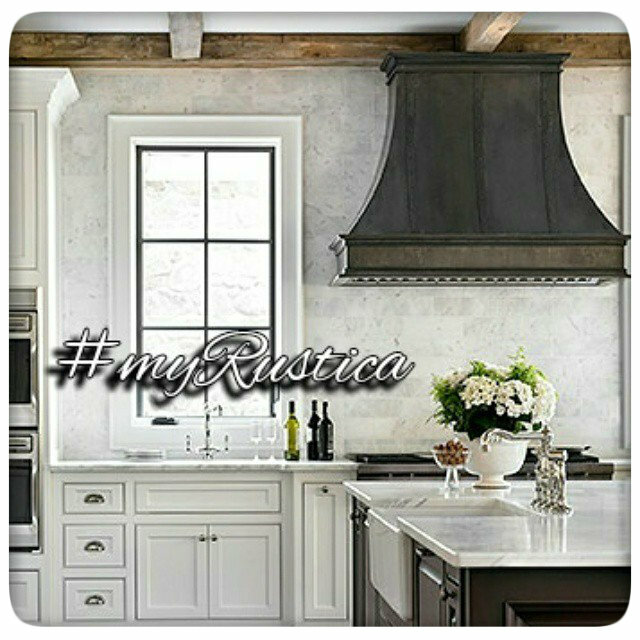 Our rustic product company Rustica House has in offer so many styles that you will find for sure an ideal focal point. Depending on the configuration kitchen metal vent hoods can be mounted on a wall, incorporated into your cabinets, made part of an overhead pewter exhaust canopy or suspended from the ceiling over the central island. In case of our production and regardless of material used for range production, they come as a wall mount and kitchen island. Naturally, you will want a metal vent hood with insert that combines to perfection with the look of your kitchen and speaks to your personal preference. So you’ll evaluate various finishes available in production process. Features like hammered or polished pewter, stainless steel or copper. You will also wish keep in mind the overall appearance, meaning whether or not it’s modern or traditional for example, or if it fits nicely with your home’s general style. Normally oxidized finish will get you unconventional look. On the other hand, fired and a darker patinas give a traditional flair. Last but not least you might take under consideration using vent hoods with the purpose of making a bold statement in an overall layout of the kitchen. If you want the first option, you should buy a handcrafted metal range hood that stands out from the rest of the decoration. Most of our hoods that are handcrafted in zinc, iron and tin, will not get unnoticed by anyone. Metals can be finished in a variety of ways and there are no common methods for all of them. 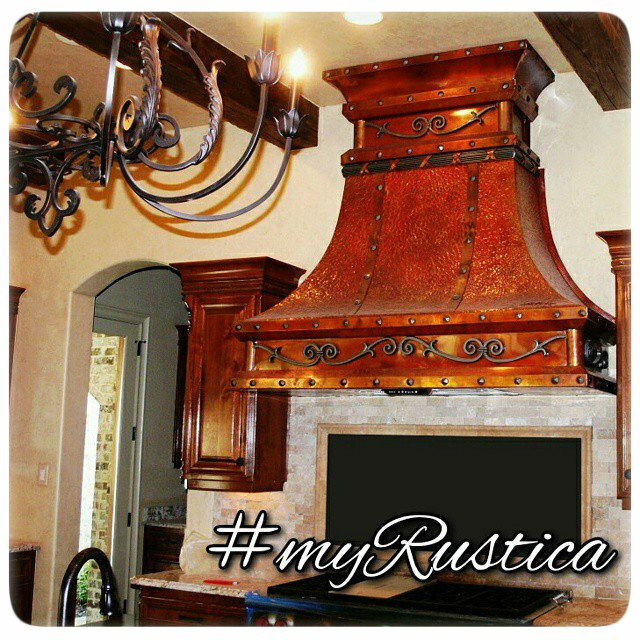 Discount range hoods handcrafted from copper are produced in rustic fired, dark, honey and antique. Iron looks pretty much as it does in its natural appearance but can be treated with acid to make it rusted. Zinc range hoods are for the most part sold with unaltered color or darkened with sulfate ion. There are many parts of the customization to consider and we will work with you to produce a work of art for the ventilation in your kitchen. Delivery takes about a month including shipping from our Mexico based facility to any US mainland residential and commercial address.